The Young Alumni Award recognizes a graduate of the university who received their degree within the past 10 years and who is 35 years of age or younger. The award recognizes the work of a graduate who serves as an exemplary leader in the field of education among their peers and in their community. Alex La Spina graduated from the College of Education in 2009 with a bachelor’s degree in Elementary Education. 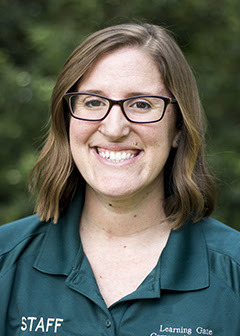 She serves as a 5th grade teacher at Learning Gate Community School, a tuition free public charter school in Lutz, Fla. La Spina joined the faculty at Learning Gate as a first-year teacher fresh out of USF and has advanced to the role of team leader for her grade level. Referred to by her students and their parents as “Ms. 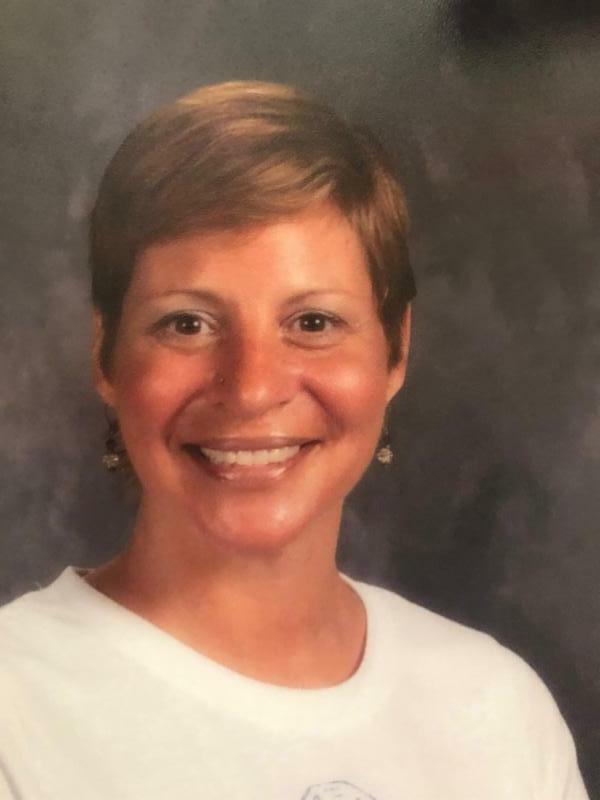 Alex,” La Spina has made a lasting impact on the students in her classroom, who have gone on to develop a passion for science and mathematics, in part because of her teaching. 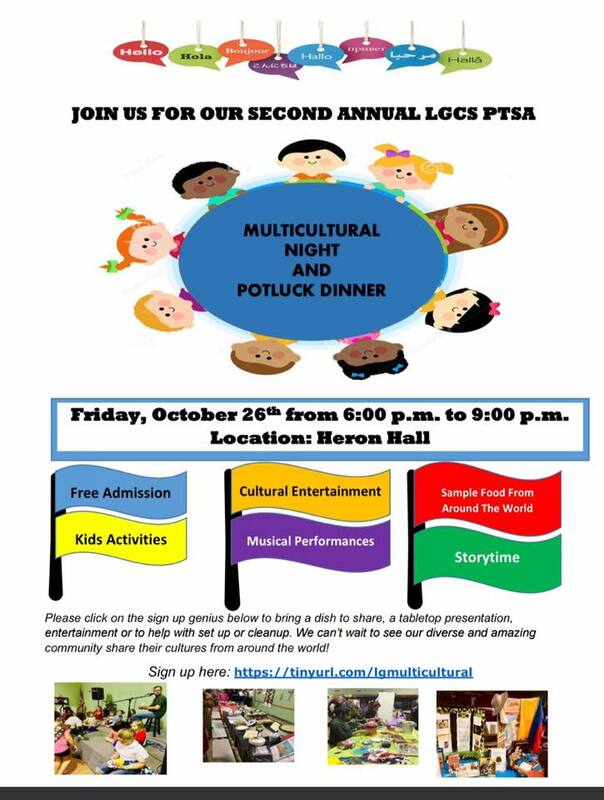 The 2nd Annual LGCS PTSA Multicultural Night Potluck is on Oct 26th in Heron Hall from 6p-9pm. This is a free event which gives our children and families the opportunity to share and appreciate all of the wonderful cultures that make up the Learning Gate Community School family. All Learning Gate families are invited to attend and encouraged to participate by signing up to bring a favorite cultural dish to share and/or to bring an informational display about your chosen area of the world. Families or LG groups can also sign up to provide entertainment, or help in other ways. 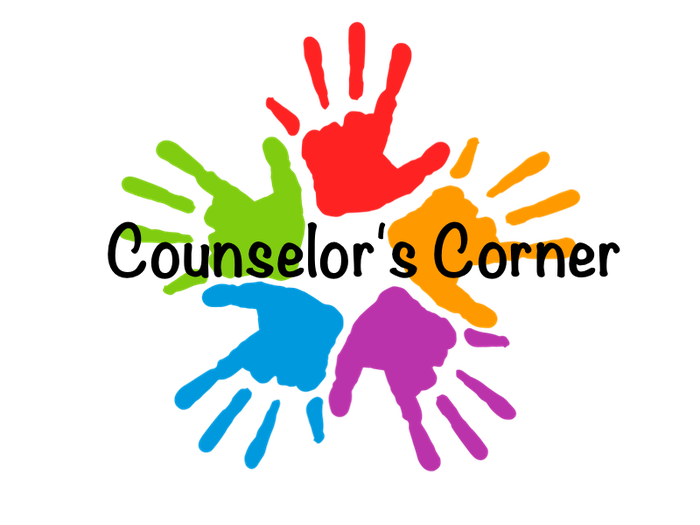 Volunteers needed for the Fall Festival! Parking Coordinator - This volunteer will help organize the parking volunteers. Each class recruits 1 person to help in the parking lot, and we need someone will to help direct these volunteers when they arrive. Shuttle Drivers - These volunteers must be willing to drive their personal vehicle (SUV or van) from the overflow parking at River of Life Church to the school, shuttling festival guests. It is a very short trip. This is very helpful so people attending the festival are not inconvenienced by having to walk. You earn volunteer hours while you drive! Bake-Off - This volunteer will assist with the cookie bake-off! Help is needed to accept bake-off entries, setup bake-off location, solicit judges, and decide on prizes. Photo Contest - This volunteer will collect photograph entries and put them together on a display board to be displayed at the festival. This person is also welcome to solicit judges and prizes for the photo contest, if they would like. Wrist band order forms can be downloaded below. Forms for the photo contest and bake-off can be downloaded below. 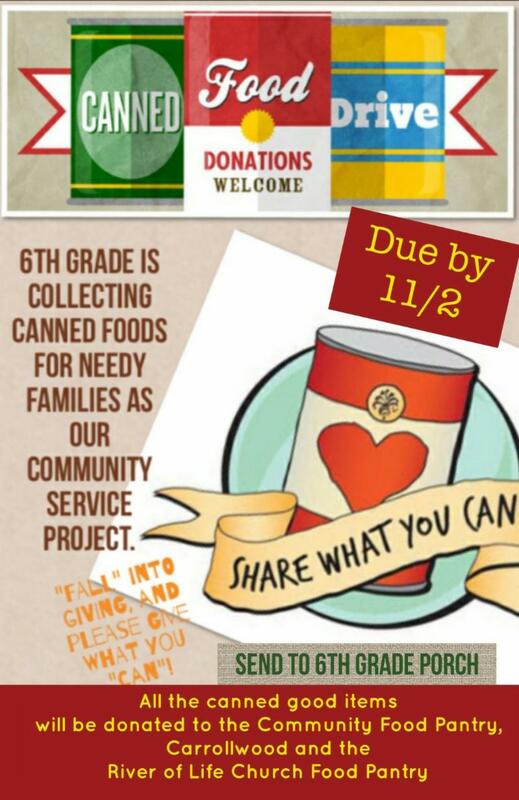 6th graders will be collecting canned food items to benefit two local food pantries that help out LG. Please consider donating to this great cause! Let's see how many cans we can collect! These cans will also be used to create our Fall Festival remote controlled car obstacle course! 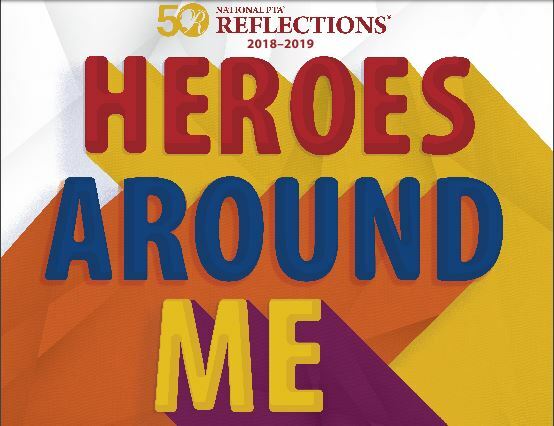 If your child is submitting a Reflections~ "Heroes Around Me" entry. Please be sure the Title of Work, Details, and Artist Statement is completed. Either the parent or child can write the "Artist Statement". If the parent writes it, please be sure it is written down exactly in the child’s OWN words. Even if not grammatically correct. Be sure both parent & child sign forms. The link to the forms is below. There is still time to turn in your Reflections Entries! Deadline is tomorrow, Monday, October 15 th ! Please turn them in to the front office. 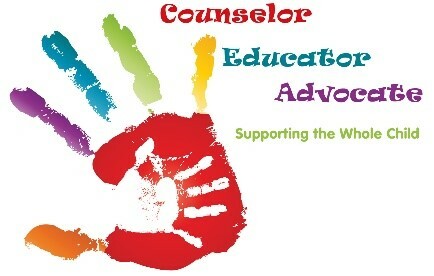 Reflections is a cornerstone program of the National PTA that celebrates student's participation in the Arts. This competition is open to ALL LGCS students grades K-8th. PTSA membership is NOT required for students to participate with Reflections. The Divisions are as follows: Primary (K-Grade 2); Intermediate (Grades 3-5); Middle School (Grades 6-8); and Special Artist (K-Grade 8). LGCS PTSA is excited to be participating in this year's National PTA Reflections Art Program in the Visual Arts category. The theme this year is "Heroes Around Me." 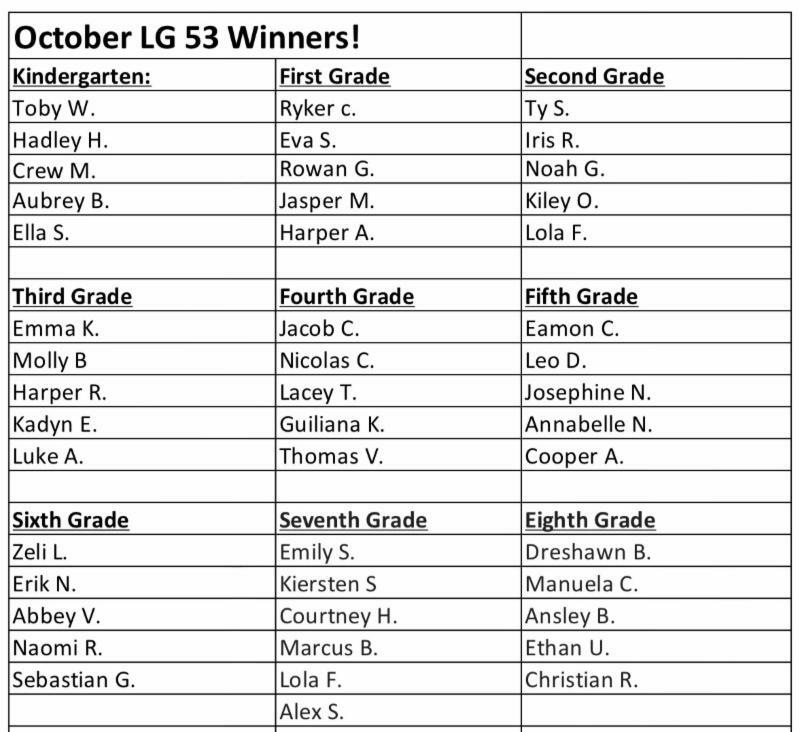 Students must submit their entries to the front office by no later than Monday, October 15th. Please click here to download and print the Student Registration packet. All students MUST submit a FULLY COMPLETED Student Entry Form and a Media/Consent Form with their entry. Each entry must contain a title and all entries MUST include an artist's statement as explained in the rules for participation. Visual Arts: Works of both fine and design arts are accepted, including but not limited to: architectural drawing and models, ceramics, collage, computer generated images and graphics, crafts, drawing, fashion clothes and jewelry, fiber work, mixed media, painting, printmaking and sculpture. Use of copyrighted material is prohibited. 2D artworks must be mounted on sturdy material and no larger than 24x30 inches with matting. Framed entries are not accepted. Include one digital image of artwork with your submission on a USB device. 3D artwork submissions must contain 3 digital images of artwork at different angles. Image(s) are used for artwork identification, judging and exhibition purposes. Accepted file formats: JPEG, JPG, GIF, or PNG on a USB device. Literature : Accepted forms of fiction and nonfiction include: Prose, poetry, reflective essay, screen play and play script, narrative and short story. Entrants may write in their primary language as long as an interpretive English translation is also attached. Use of copyrighted material is prohibited. Writing must not exceed 2,000 words and may be handwritten or typed. Accepted formats: Single-sided print on 8 ½x11" paper or a PDF file on a USB device. Photography : Photo must be a single print/digital image. Collages and collections of photos are not accepted. Entrant must be the photographer and may use a variety of digital editing techniques including but not limited to, multiple exposure, negative sandwich and photogram. Use of copyrighted material is prohibited. Print image dimensions must be no smaller than 3x5 inches and no larger than 8x10 inches. Accepted print formats: Mounted on mat or poster board no larger than 11x14 inches. Framed prints are not accepted. Digital image dimensions must be at least 640x960 (pixels) and 300 dpi (resolution). Accepted file formats: JPEG, JPG, GIF, or PNG on a USB device. Visual Arts and Photography categories have specific sizes and information regarding mounting the entries that must be followed. Parents and students, please read the submission rules very carefully as failure to follow the rules may prevent your student's art piece from being submitted. 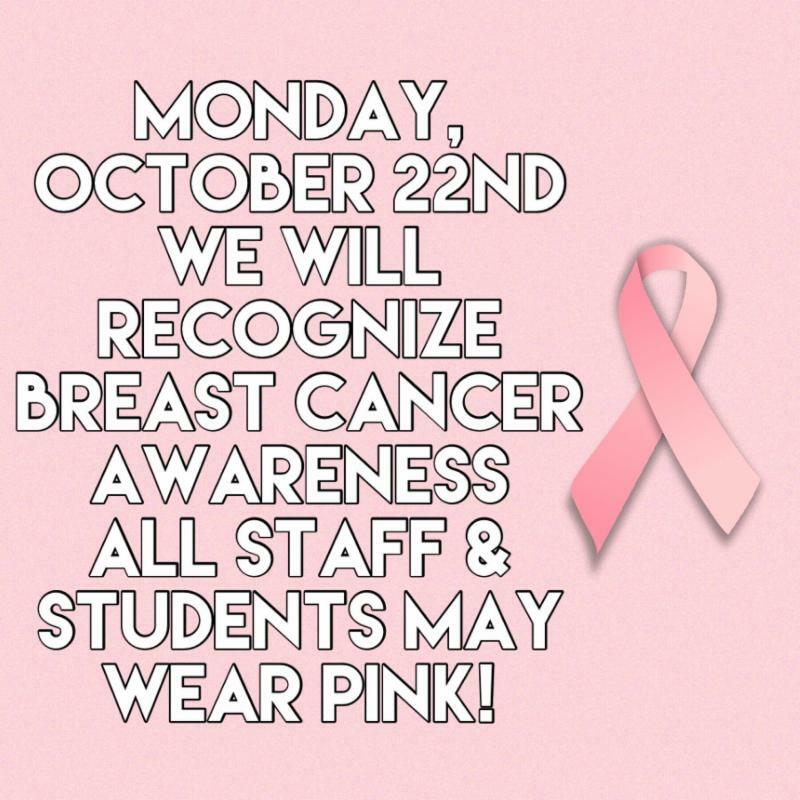 Please contact Jennifer Crooker at president.lgcsptsa@gmail.com if you have any questions. Click the video to learn about how your K-8th students can bring this year's theme to life through their own creativity and ingenuity! How Are Student Submissions Judged? Volunteer judges will judge all entries primarily on how well the student uses his or her artistic vision to portray the theme for this year. Judging will take place at the local, regional, state and national levels. Winners will have the opportunity to win prizes and advance to the next level of competition. We seek judges who have a background or commitment to the Arts to do the judging. There are also opportunities available for special needs students to participate as well. The special artist form is included in the packet. See below for some of our past submissions an LG student who won his division at the Hillsborough County Council PTA Reflections competition. He then went on to make us very proud by competing at the state level. We have had over 50 wonderful and creative submissions in the last three years. We invite all LG students to enter Reflections. This month I want to share some great resources on internet safety/cyberbullying. Also, thanks for helping us kick-off Bullying Prevention Month by having your children wear blue. We appreciate your participation. Other events that are taking place during this month to educate LG students on the topic of Bullying is on October 11th and 12th. Learning Gate is hosting the Kids on the Block anti-bullying puppet presentation in Heron Hall. 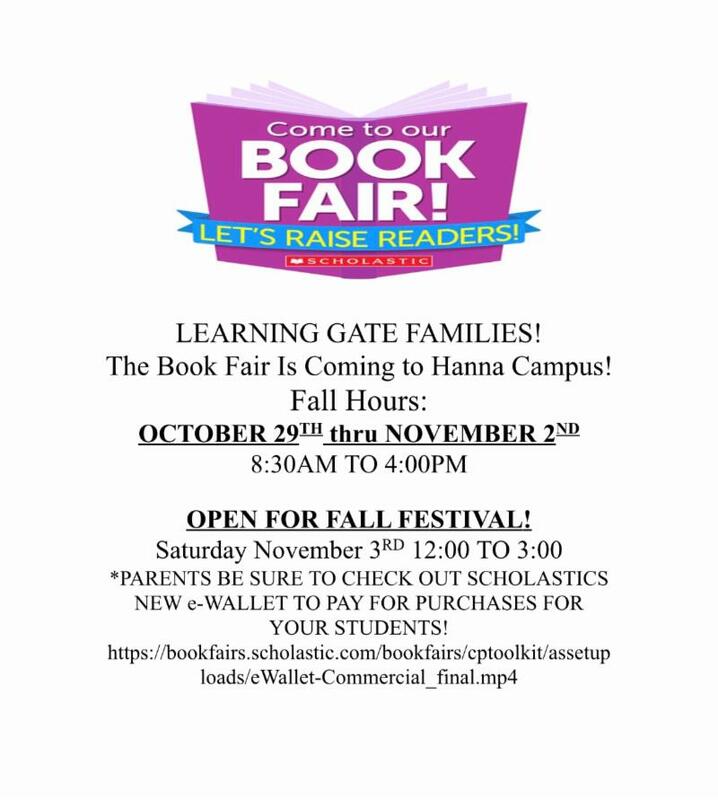 Please Come to our Fall Book Fair and help our students to open a book to a world of reading. Volunteers will help students to shop and choose grade level books from our fair for purchase. We need assistance during the times classes are coming in and out of the library. Volunteers will work the circulation desk for checking books in and out, assist the children with locating books, light cleaning, and shelf returned books. Opportunities available throughout the school year!